Serious problems can occur if cats are allowed to roam outdoors off your property, particularly at night. Around 80% of accidents involving cats happen at night. Roaming cats may be hit by cars, injured in fights, catch fatal diseases (eg feline AIDS) following a fight or interaction with another cat, or become lost. Roaming cats can also kill native wildlife – even well fed cats will hunt, it is in their nature. 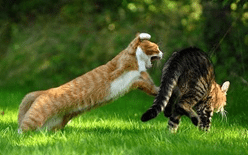 Roaming cats may also annoy your neighbours by spraying, fighting, yowling and digging in their gardens. 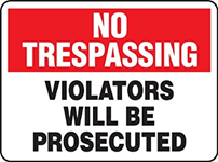 In some states, you are not allowed to let your cat trespass on other people’s property. If your cat is found wandering from your property and is not identified, it may be seized and impounded. You may have to pay a fine when reclaiming your cat from a Council pound. Some councils also have laws prohibiting cats from certain areas, or requiring cats to be kept on their owner’s property during certain hours. You can keep your cat in the house or apartment with you, or in the garage or shed at night. Just make sure he/she has a warm dry sleeping area, a litter tray and plenty of water. Desexing cats also reduces their desire to roam and helps prevent behavioural problems. When confining cats for long periods during the day, you must enrich their environment. This will prevent them from getting bored or developing behavioural problems. There’s nothing cats enjoy more than a rousing chase through the house, hiding behind chairs, launching off furniture, and stalking playmates. However, despite the fun in it, it can also spell trouble. The key to it all is finding the right enclosures for the comfort and enjoyment of your pets. Constructed with an appropriate screen, it will keep them safe while allowing them to experience the sights, scents and sounds of nature. 1. Confining your cat inside. Increasing your cat’s stimulation inside will decrease its desire to wander outside. From building a DIY cat shelf so it can peer out and survey the outdoors, to food puzzles, that allow them to express their instincts in a productive manner. Scratching posts, cat furniture and interactive play are also positive ways to keep your cat stimulated and happy. Some cats are happy with being confined inside. However, providing enrichment is important otherwise it can be a boring existence for your cat. Meeting your cat’s mental and emotional needs helps them to lead a fulfilling life and have fewer behavior issues, and also allows you to forge a stronger bond with them. 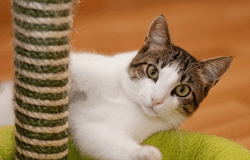 How do you provide enrichment for your cat? There are a number of ways, such as giving them a variety of toys, providing perches, training and playing games with your cat, and much more. According to studies, one of the best activities for your cat is playing. 2. Confining your cat on your property is often the happiest compromise for your cat. Some cats are desperate to go outside and become escape artists. In fact, research shows that 40% of lost cats that were subsequently found, their owners described them as “indoors-only cats”. Unfortunately, though, there are negative consequences to confining your cat indoors. 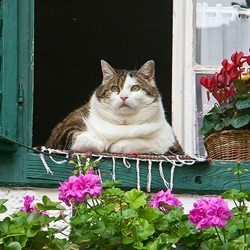 These include health related problems such as obesity and diabetes, which are more prevalent in cats entirely confined indoors. If you have a nice big garden, there’s no reason why your cat shouldn’t still be able to enjoy the great outdoors. Buying or creating a cat enclosure gives them a protected outdoor space to run around in. Cat proof fencing is another alternative. You can give your cat some safe time outdoors by building an outdoor enclosure (often called a cattery or catio) for your cat. Once your cattery is built, you can incorporate other sources of enrichment, such as toys and cat trees, into it. And don’t forget to routinely check the structure for stability and safety. To find out what types of structures other people have created, search the internet for “cat enclosures” or “catios.” Read more. 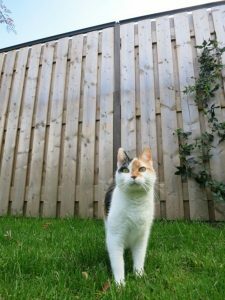 There are many options including buying or building cat proof fencing which often provides more space for your cat than a cat enclosure. Do a web search for companies that sell enclosures, netting and products to modify fences. 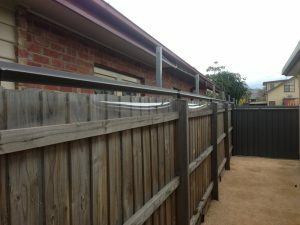 For instance, a ‘roller’ type product is available for installation along the top of existing fences (the roller prevents cats from getting a grip on the fence). 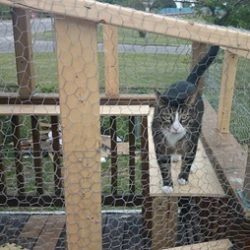 If you’re handy and would like to save money, you can build your own cat proof fencing and cat enclosures. 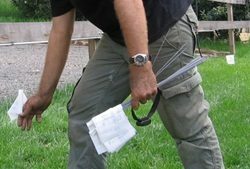 Cat proof fencing (i.e. modifying existing fencing to make it ‘cat proof’, giving your cat free access to parts of, or your entire, yard). Staff at your local hardware store may also be able to help answer any questions. However if you find the D.I.Y. instructions too difficult, you may be able to pay someone else to do the building. 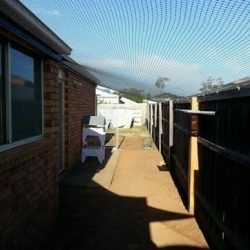 Where physical fencing is not practical, or as an additional security to a physical fence, (for example when the risks are high when your home is close to a busy road) electronic boundary fencing (also called invisible fencing) can protect your pet. Electronic boundary fence systems are endorsed by most welfare agencies in the USA, but not by some welfare agencies in Australia because of concerns over the welfare impact. A recent UK study found that long-term exposure to an electronic containment system with clear pre-warning was not associated with reduced cat welfare. Reputable installers, rather than DIY are recommended, because they will assist in training your pet to understand the new fencing. Some benefits of the use of a professionally installed electronic boundary fence system are proper set-up and positioning of the fence, expert advice on training and conditioning of your pet, and professional grade product choices. Some features can include boundary challenge alerts, as well as programmable stimulation levels. Desexing cats also reduces their desire to roam and helps prevent behavioural problems. When confining cats for long periods you must enrich their environment. This will prevent them from getting bored or developing behavioural problems.